It all began as a hobby for Paul Higgins. Now, the hip-hop veteran from St. Bernard Parish in New Orleans, LA has a full twenty years under his belt. That’s two decades, y’all. As a kid, his neighborhood crew banded together to form his first group, The Soldier Pack. And, like any new, indie-artist, they took every opportunity they could find to perform, whether it was a club, barroom, concert venue, or—without shame—busking on any street corner available. Assuming the stage moniker, Higgnz, he would eventually release his first official album with the group, KawCajun back in 2001; as well as an anthology of mixtapes—which he is currently in the process of re-releasing digitally. These inlcude: The Hustle (2003), Mad Track All Stars Compilation (2005), Downaroad Party – Katrina’s Aftermath (2006), The New Testaments Bk. 1 – The Delivery Expert (2008). CPC – Cross Parish Connect (2009). MMIX: When Life Meets Music (2009), The New Testaments Bk. 2 – Navigating with Pirates (2010), and Sol Trybe EP (2017). A hiatus came next. After years of grinding, the game had caught up with Paul, and he stepped away for a bit in order to refocus, and re-prioritize the important things in life. That time of self-reflection resulted in his first official debut solo album, Brackish, an aptly titled project named literally for the blended waters that surround Southeast Louisiana, and metaphorically for Paul’s diverse influences and personality. Hay’s “do it today” message is truth wrapped in a kind country-laced beat. The blue collar anthem, White Boot Warrior, offers a sick southern/country hip-hop beat in a tribute to Paul’s family roots in the commercial fishing world. Classic old-school party tracks, Lagniappe, and, Ain’t A Party, offer southern-bass-style, and west-coast-styles—respectively—creating uncomplicatedly great club tracks which are virtually impossible to not enjoy. Sharp. Professional. Blueprint. 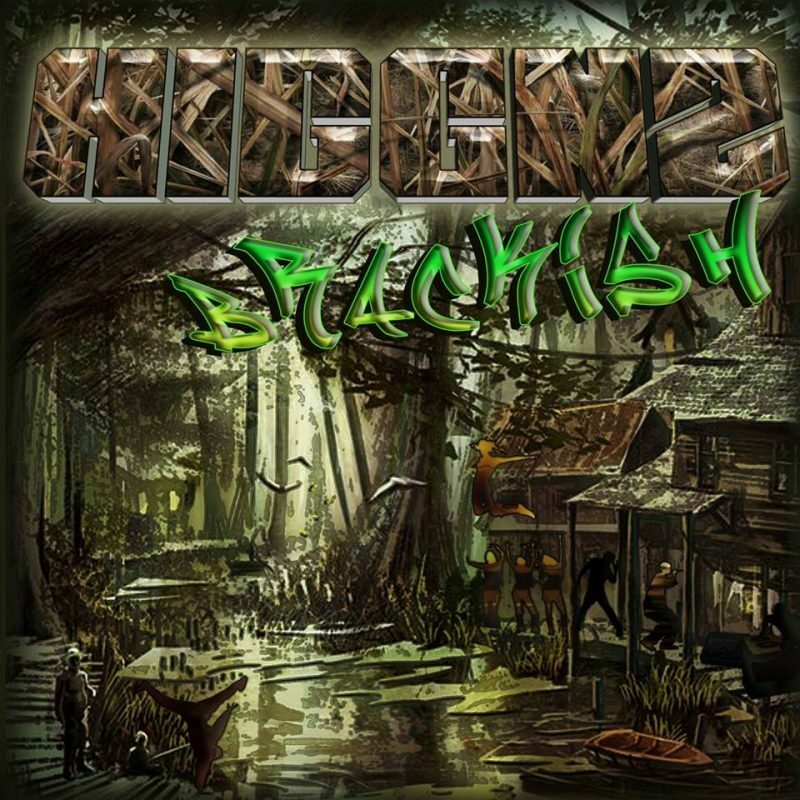 Brackish—the latest effort by New Orleans-area veteran MC, Higgnz—is real-time proof of what 20 years in the craft does for an artist’s skill, confidence, and competence. Truth be told, we’ve turned down many, many review requests from hip-hop genre artists—more than any other genre. Why? Because, as an MC, you can have great production and a great story, but if you haven’t mastered the craft of coming correctly to the mic—it’s all for nothing. And, two decades have earned Higgnz the ability to vocally stick’n’move around his beats. His time on the mic has fashioned his grimy, made-for-the-mic vocal timbre in a way that absolutely only happens during years invested. Time is key. Regarding Brackish’s production, it speaks for itself. In fact, it’s so good, it undoubtedly helped to raise Paul’s game, as anything less would have created the disparity just mentioned above. Throughout the album, southern/country influences intertwine uniquely and tastefully to create beats that beckon the MC to simply show-up and spit. All in all, the project is a respectful nod to late 80’s and early 90’s hip-hop with a twist of modern production nuances which keep it all fresh. Very well done. 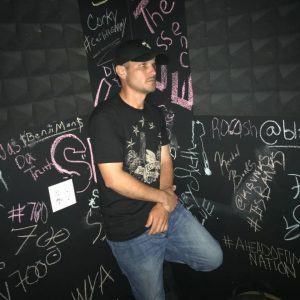 BELOW: Listen to Higgnz’ album, Brackish, and connect with his website and social media platforms. Please support Higgnz by visiting him online, and playing, downloading, and/or purchasing his music, or attending a live show! And, as always, thank you for supporting real music!